NEE 2019 Admit Card of NEE 2019 indicates important information about the exam such as date and time and candidate details like name and roll number. The NEE 2019 hall ticket has been released as per schedule and uploaded for the candidates who have correctly submitted the application form of NERIST exam on time. Candidate need to download admit card before 20 April 2019. 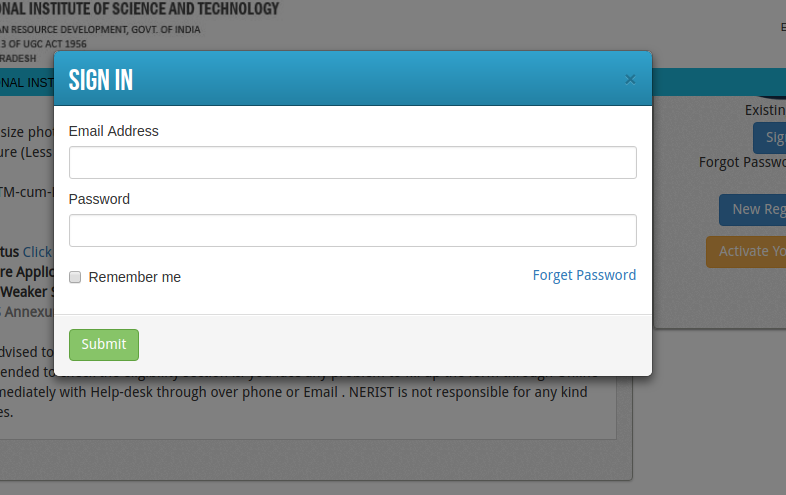 Login credentials generated at the time of form submissions such as user ID and password are required to download the document. Check the details printed in the NEE admit card 2019 after downloading and printing it. Latest: NEE 2019 Admit Card / Hall Ticket is now available. Access the link below to download it. To download the admit card candidate need to visit the official website and login by specific credentials. 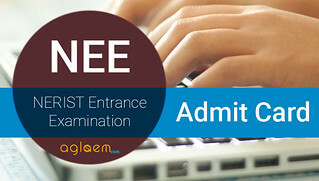 The admit card consists of the personal details as well as date,timing and address of test center.The NEE admit card is uploaded on the official website neeonline.ac.in. Candidate can download admit card from the official website or through the link provided below as per official announcement. Check the important dates pertaining to Admit Card from below provided schedule. Admit Card: Click here for NEE admit card 2019. How to download NEE Admit Card? To download your admit card sign in with registration No. in the requisite field or directly login to their panel using their user id and password to download their Admit Card. 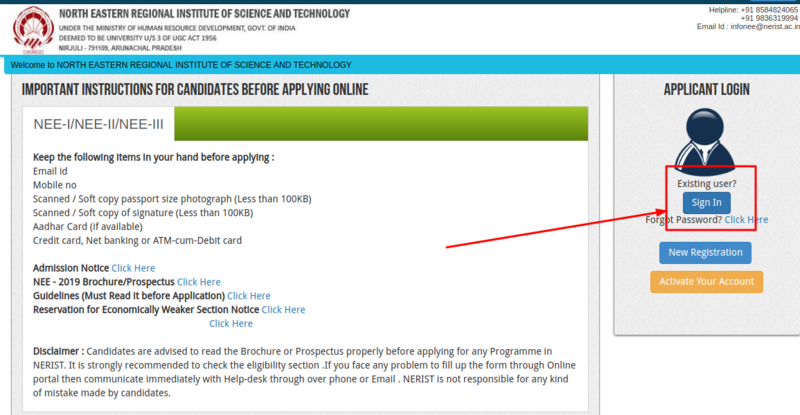 On clicking there, a new screen will be shown like below and after filling all the details a candidate can download and print the Admit Card. It is compulsory to carry the hall ticket to the examination hall. Without Admit Card you will not be allowed to take the exam and also you are advised to keep the Admit Card till the end of the admission process. What to do if the admit card is not available? NEE 2019 information brochure states “In case of non-receipt of admit card, a candidate must bring the photocopy of his/her registration confirmation page and two color photographs.” in the examination hall. Calculators/log tables are not allowed in NEE I, but they are allowed in NEE-II, NEE-II Vocational, NEE III. Mobile phones and gadgets are not allowed. Hall ticket will be issued online at www.neeonline.ac.in. NEE 2019 admit card for NEE I, II, III is anticipated to be made available for download by candidates whose application forms have been submitted on time. Notification for this may also be sent to applicant’s registered email ID. To download NEE 2019 admit card, the candidate must enter registration ID or user ID and password. As the document is very important, detailed instructions to obtain the hall ticket for NERIST Entrance Exam 2019 is elaborated here. Without the NEE Admit Card 2019, candidates will not be allowed to appear for the exam. Also, the Examination center will be mentioned on your NEE Admit Card and in this page. On the day of the Examination, candidates must bring their Admit Cards, Black ball point pens, etc., to the Examination Hall. Calculator/Log tables are not allowed for NEE-I. However, these are allowed for NEE-II, NEE-II (Vocational) & NEE-III. The exam will be comprises of three sections named , Physics, Chemistry and Mathematics having the total marks of 150 . The total time duration of exam is 3 hours.